Where will your next road trip be heading? 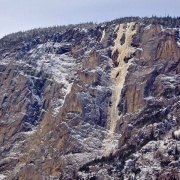 Ouray? Canmore? Norway? If you’re looking to break out of that NH/NY/VT routine but don’t want to drop the coin on a flight out west or to Europe, why not check out the climbing in Nova Scotia? It may be 12 hours by car from Boston, but battling the tides and the maritime climate provides an adventure setting unlike anyplace else in the northeast. “So here’s how it works, we’re on the honor system. You can download it at your ease, and then, depending on your level of happiness (from the quality of guide) and current income, donate to the sponsorship fund on a sliding scale. If you’re poor/student in debt (but let’s be realistic if you’re poor/student you probably can’t afford to ice climb) pay what you can. If you’ve got more, the guide costs 0.01% of your total income. ie your net income is $100,000 the sponsorship fee is $10…and so on! Or just download it and be indebted to me for life/pay when you can. Please do not print off the entire guide. Put it on your iphone and bring it with you, or print off individual pages on scrap paper. The guide is available for download here: Ice Pirate’s Guide to Nova Scotia. Should you download the guide, please be respectful of the work Roger has put into compiling this great resource and contribute what you can. Roger’s work was made possible by Climb Nova Scotia. 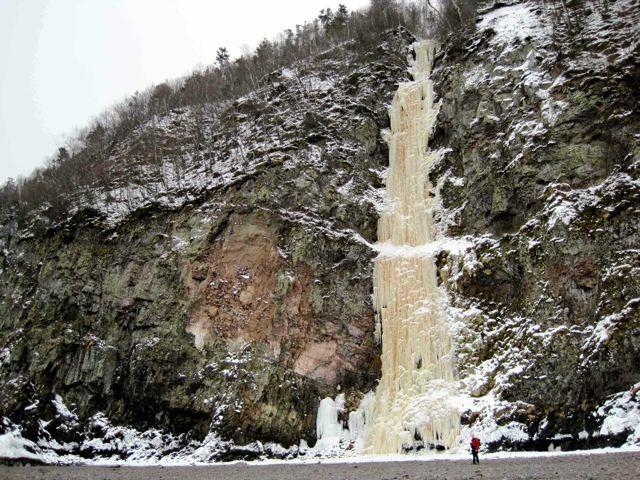 Be sure to check out their page for information about the 2012 Nova Scotia Ice Climbing Festival! yup, Roger is a good man and a friend. Thanks for posting this.